Malabar Gold & Diamonds associates with various associations and like – minded organizations this Ramadan to provide Iftar meals & other CSR initiatives. May 15, 2018 - Dubai, UAE: The holy month of Ramadan is at here & millions of people around the world are getting ready to welcome this holy month with the acts of service, charity & prayers. 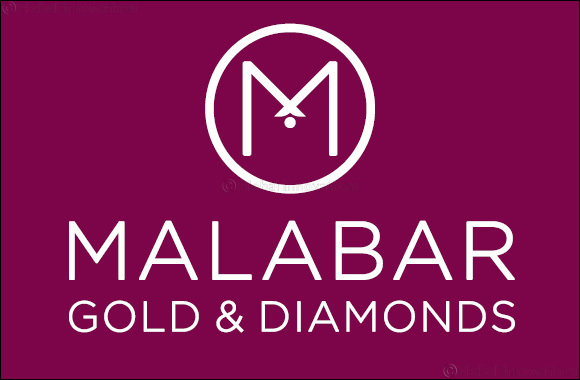 As in previous years, Malabar Gold & Diamonds, one among the BIG 5 global jewellery retailer strengthens its CSR activities in the GCC and Far East region this Ramadan. Embracing the spirit of ‘Year of Zayed’ which marks the 100 years since the birth of the late Sheikh Zayed bin Sultan Al Nahyan, the Founding Father of the UAE, Malabar Gold & Diamonds has planned a month long CSR activities in association with like-minded organizations to benefit the needy. Over 70,000 special Iftar meals / kits will be distributed during this period. In UAE, over 43,000 Iftar meals / kits will be provided to the residents in association with various like-minded organizations like Sharjah Charity International, Community Development Authority, MOH, KMCC, various labour camps & masjids throughout this holy month of Ramadan. 18,000 Iftar meals will be provided at Sajaa Industrial area, Sharjah throughout the holy month of Ramadan in an air conditioned tent which is set up with the support of Sharjah Charity International. Company will also distribute Iftar meals across the various labor camps & nearby masjids in UAE. In Oman, the group provides over 15,000 Iftar meals at all over Oman throughout the holy month of Ramadan. In Bahrain, the group is planning to provide over 5,250 Iftar meals to the workers at different labor camps located all over Bahrain like Askar, Akker, Jau, Arad, Hidd etc. Like in previous years, they will be associating with Discovery Islam, Al Hedaya Centre and Friendship Society for Blinds, UCO Parents Care to carry out such activities during Ramadan. In Kuwait, the group will provide Iftar meals to over 2,800 laborers in different parts of various governorates in Kuwait. In Singapore, the company will distribute around 78,000 water cups in the various masjids during the holy month. In Malaysia, the group provides 750 special Ramadan Kit to the under privileged people which includes the grocery which will be enough for a family of 3 persons to break the fast for 10 days during Ramadan. The Company also provides 1000 Iftar meals which will be distributed in & around of various masjids. Since its inception in 1993, Malabar Group has been actively involved in CSR activities with the aim of creating a difference to the community in and around their area of operations. The importance of CSR activities for Malabar Group has grown over the decades and the group sets aside 5% percentage of its net profit for the benefit of the needy in the respective markets it operates in. They undertake social welfare activities all year long, focusing on five priority areas such medical, educational sector, environment as well as housing and women empowerment.